Made from. 50mm PET Plastic with locking tabs. 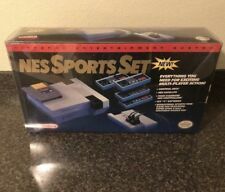 This listing is for 1 Nintendo Entertainment System Sports Set console box protector. Made from .50mm PET Plastic with locking tabs. Please note all protectors come with a protective plastic film that needs to be peeled before you construct the box. All boxes come flat and need to be bent on the creases to create the box. 100% money back satisfaction guarantee! Save your games!! SYSTEM NOT INCLUDED. We love your feedback! More than 14 console box protector sizes in stock!! The box is in very good condition with light shelf wear. This protector will fit the box for Original SNES Long box, Super Set, Mario Set, and Donkey Kong Set. They are finally here! Console box protectors from Kollector Protector. Also has a tear and tape on it. Then put into another box to make it to you safely. It has two small imperfections which are included in photos. Would make for a great retro prop in your man cave or use it as a gag gift at Christmas! Made from. 40mm PET Plastic with locking tabs. They are finally here! Console box protectors from Kollector Protector. Perfect for a retro gaming room, or any NES collector. - Original box only. No ugly stickers anywhere. The cases are very good. I personally use these for my entire NES collection. We all have nice things, let's keep them that way! These protectors are made with the thickest plastic on the market! These protective cases are made of a sturdy 0.50mm PET acid-free plastic. 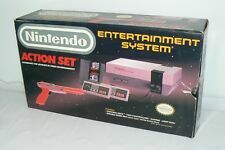 Original Nintendo nes box for the game S.C.A.T. By no means perfect but displays fairly well, includes a box protector. Box shows wear, flaws, and stickers as shown In pictures. Please examine them for exact condition. Check back regularly for new inventory. The box is in good condition with edge wear, a small top right corner tear, a dented back left corner, and a few small creases. Original NES box only. Still in good condition. This is a genuine SNES case. It has foam on the inside to protect the system. Also includes styrofoam and hard plastic case. These cases have scuffs, only one has a small crack. Only 2 cases have a hanging tab. 4 of the cases were part of someones NES library back in the day and have label stickers/tape on them. Please see photos. Lot Of 8 Vintage Genuine Nintendo NES Hard Plastic Clamshell Game Cases. Condition is Good. Shipped with USPS Priority Mail. You are looking at Star Fox FX for Super Nintendo. All flaws may or may not be visible in all photos. The item you are buying is the item pictured above. Original NES Nintendo. Works with Original NES, Atari, and more! This case has signs of wear and tear. I decided to list as is. Removable tray is included but has cracking. See the many pictures for details of actual case condition. Look at pictures for details. Mega Man 3 Nintendo NES *Box Only* Authentic. Condition is Acceptable. Shipped with USPS First Class Package. HAS BAD WEAR & TEAR . BOX HAS TAPE AROUND IT . SEE PHOTOS. 1989 The Adventures of Gilligan's Island Nintendo NES Box. If language is a problem, we have multilingual associates to assist you. 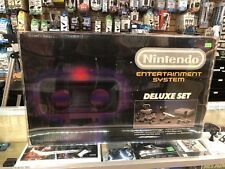 Puzzle American Video Entertainment Nintendo NES BOX ONLY Rare! AVE Authentic! AVE Authentic! INCLUDED: What You See In The Picture Is Included. (See Photos For Further Details). Super Nintendo Box, with Mario All Star Promo. A few light stains on the front, and a few minor edge creases. Minor corner whiting. Overall this is very well preserved, and solid for display. Nintendo NES Game Dust Cover Protective Sleeves Lot 20 Condition is Very Good. Shipped with USPS First Class Package. This item has been used and tested. What is pictured is what you will be receiving. Item is in very clean condition. Shows minor signs of scratches/scuffs. Box has minor wear from age and use and is in great condition. I try my best to describe conditions and provide adequate photographs. Condition is Like New. The only one I have left out of my collection. 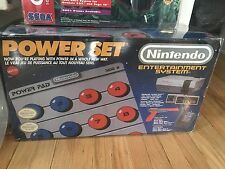 Up for sale is an Original Nintendo NES Power Pad Box! This is for the box only and does NOT include the power pad.